Ideal for panel discussions, podcasting, and desktop voice over! 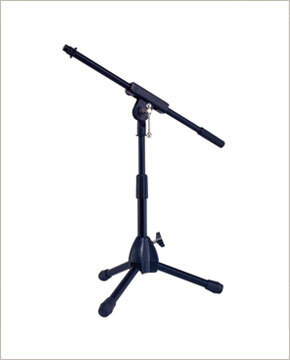 Tripod base table top, kick drum or amplifier mic stand. Features a non-telescoping boom 15 3/4" long. Height adjusts from 11 3/4" to 17 3/4". Also available in chrome finish - KB121M-CR.